Valentine's Day is cool, but have you tried a pizza party with friends instead? Valentine’s Day. You know the drill: Flowers, chocolates, slow jams, trying to find a spark of romance in the middle of Canadian winter. It’s the same thing every year, and you know and/or love it. At the same time, it’s kind of become a whole thing. And you’re probably not the only person who wishes there was a simpler, less romance-focused alternative for people who want to celebrate the other relationships in their lives. Good news: There is. Better news: It involves pizza. It’s time for you to get acquainted with PALentine’s Day. PALentine’s Day is on February 13, and it’s essentially Valentine’s Day for friends. If you’re still a little confused, let the Internet help you out — according to Urban Dictionary, PALentine’s Day is a day to hang out with your best friends, eating pizza, watching movies, and playing video games. Forget April 25th — this is the perfect date. So before you get yourself all glammed up for your V-Day plans (or if you’ve got nothing on the books and plan on staying home — you do you), take the time to celebrate yourself and the people who made you the amazing person you are today. And then add pizza. 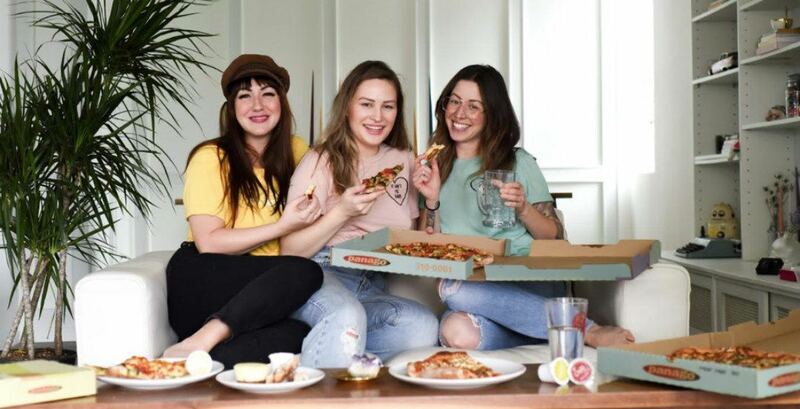 This PALentine’s Day, Panago Pizza is giving you the chance to win a prize pack including hoodies, drink tumblers, pizza friendship pins, and a $75 gift card to Panago Pizza. All you have to do is follow Panago Pizza on Instagram, and comment on the following picture, tagging three of your best pals! It’s really as easy as that. Head over to Panago Pizza for all your pizza needs to celebrate PALentine’s Day, with a wide variety of pizzas to choose from, the option to create-your-own pizza, and even vegan options for your plant-based friends. Or, if you feel like kicking it at home with your friends on the day, you can have it delivered straight to your couch. It truly is the best of both worlds (if both worlds are “pizza” and “sweatpants”).